The Centers for Disease Control and Prevention (CDC) received reports of two human infections with novel influenza A viruses recently, one in Wisconsin and one in Minnesota. The Wisconsin case was hospitalized as a result of their illness with H1N2v, and continues to recover. Direct contact with swine in the week preceding illness onset was reported. No ongoing community transmission has been detected. In April 2016, an individual from Minnesota was infected with an H1N2v virus. The patient was not hospitalized and has fully recovered from their illness. No human-to-human transmission has been identified and the case reported close contact with swine in the week prior to illness onset. Pigs are commonly infected with swine influenza (“variant flu”) viruses that are usually different from human influenza viruses. 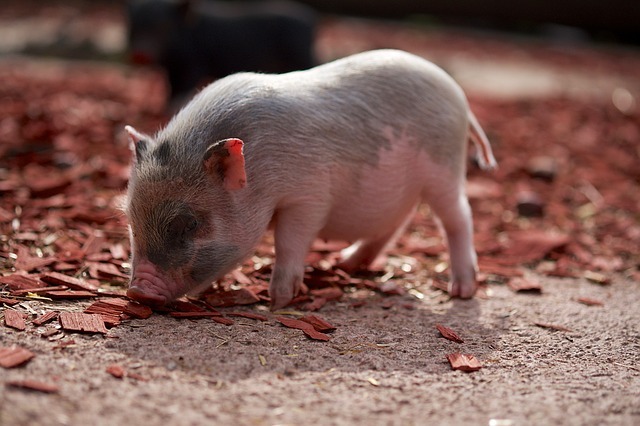 While rare, influenza can spread from pigs to people and from people to pigs. In general, the severity of illnesses associated with variant influenza have been similar to seasonal influenza. Influenza symptoms come on quickly in the form of fever, dry cough, sore throat, headache, extreme tiredness, stuffed-up nose, and body aches. Young children and the elderly may not develop fever. These symptoms can be severe and put you in bed for several days. To date there is no sustained human-to-human transmission of novel swine-origin flu. However, influenza viruses have the capacity to change and it’s possible that this virus may become widespread. They are not transmissible by eating properly handled and prepared pork (pig meat) or other products derived from pigs.